The Wealth Egg, from our very own Energy Doc, Stephen Kane, is a marvellous new energy enhancing device that removes the negative energies in our environment that prevent the attainment of wealth. The Wealth Egg creates a naturally prosperous state by restoring and rebalancing the body's subtle energies and purifying the environment of negative entities and environmental stress. Would you like more wealth? Do you always seem to be paying out more than what comes in? Want your work to feed your soul as well as pay the bills? Read on! 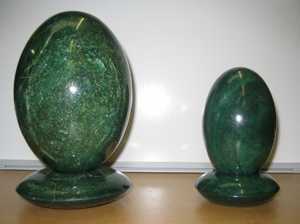 It's fantastic to announce the latest additions to the unique Energy Egg family of life qi generators. The Wealth Egg, the Wealth Angel and the Wealth Archangel are our most recent developments of the hugely successful Energy Egg. 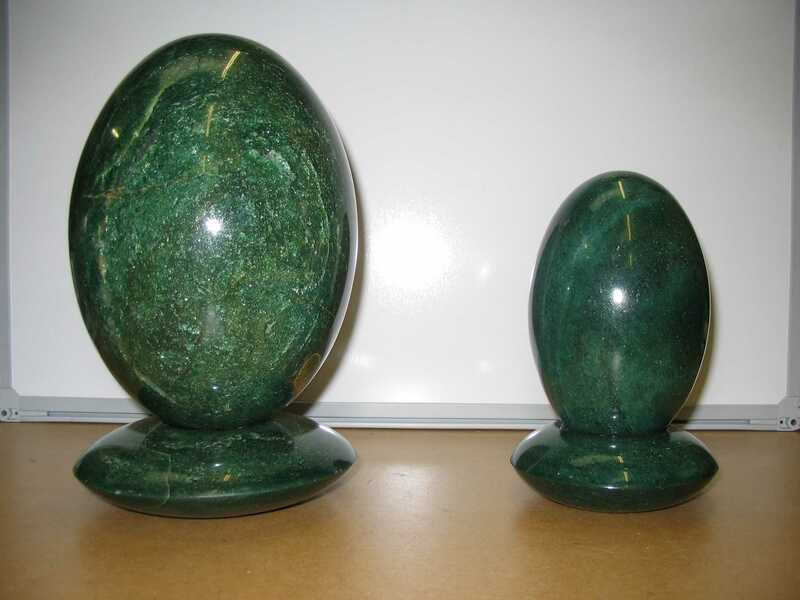 The original Energy Egg Environmental Stress Eliminator, introduced some years back, is now being used by thousands of people worldwide as the most effective energy protection and development tool available today. And now these same principles are being used to help develop Energy Eggs for many other areas of your life. Every human ability is characterised by the flowing forward or advance of a certain form of life energy, or qi, from one or more areas of your body. For example, when you learn how to speak, a form of qi starts advancing from the right side of your 5th chakra, an energy centre at the hollow of your throat that controls verbal communication. And when you learn how to write, the same form of qi starts advancing from the left side of your 5th chakra. How far each of these energies advances determines how well you are able to speak or write. "Less than two hours after receiving the Wealth Egg, and after less than two hours of door-knocking, I discovered exactly the type of job I had been searching for – to the exact specifications and hours, etc. And they insisted I start right that very second!." What does a Wealth Egg do for me? Even though we all know of ways of increasing the wealth in our lives – learn a better-paid skill, work more, get a higher-paying job and so on – another, more fundamental and more powerful, way of changing any area of your life for the better is to directly cultivate the form of energy or qi upon which it depends. 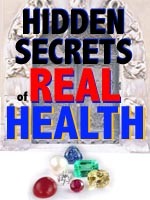 In other words, if you desire more wealth, increase the flow of "wealth energy" throughout your body. Many people have similar knowledge and skills, yet some of them make much more money than others. It’s often put down to “luck,” a greater interest in making money, a more-winning personality or any other common explanation for someone’s greater financial success. But another way of looking at it is that all such reasons for greater wealth in a person’s life reflect the presence of more of an energy called wealth qi in their body. In fact every ability you possess reflects the flow of a certain form of life energy or qi through your body. So “luck”, financial acumen or a wealth-attracting personality or appearance all actually result from how much wealth qi you have in each area of your body. And the good news is: you can cultivate increased wealth qi... which is exactly what a Wealth Egg does! Each person’s capacity for wealth – i.e. how much wealth qi you can hold – is limited by “foreign energies” in your body that block the flow of wealth qi. A “foreign energy” is subtle energy you have picked up from someone or somewhere that has then displaced some of your own life energy. If the displaced energy is your wealth qi in, say, your throat, your ability to communicate in ways that lead to greater wealth will be impaired. The Wealth Egg steadily eliminates wealth-obstructing foreign energies in you. But as long as a foreign energy persists in an area of your body it will continue to influence your thoughts, feelings, words, actions, choices or experiences in ways that reduce your ability to generate more wealth. The Wealth Egg’s elimination of such wealth karmas is automatic, but can be accelerated with the help of a simple practice that comes in the operating instructions. The larger, more substantial Wealth Angels and Archangels are an ideal addition to offices, shops, restaurants, practices, or any environment where money is being made. It has the same wealth-enhancing effects on everyone in the space as if they had their own personal Wealth Egg – and more! Just like the Guardian Angel Environmental Stress Eliminator, the Wealth Angel (1.5kgs) and Archangel (6 kgs) include an advanced mana field – which amplifies the wealth-enhancing effects of personal Wealth Eggs. A maximum of 12 Wealth Eggs can be connected to them. So when someone who owns the Wealth Egg leaves the field of the Wealth Angel, they still benefit from all the additional power of the Wealth Angel wherever they are. "Since having the Wealth Angel I've won £50 on the Premium Bonds, after winning nothing for many many years. And also, when my mother moves to the nursing home, the social worker has arranged that this time I don't have to make any financial contribution, whereas previously my personal financial contribution towards her care in the residential home was substantial." Unlike most ways of creating wealth in your life, Wealth Angels also cause positive energy shifts in your personal energy field over time. These result in opportunities for you to cultivate your wealth through an occupation that feeds your consciousness rather than dragging your energy down. Wealth Angels and Archangels steadily develop an advancing flow of wealth qi from the centre of the forehead of each Wealth Egg owner within their energy field. When wealth qi advances from your forehead in this way, you attract more and more wealth-generating opportunities into your life. It may be hard to understand that the nature of your energy directly affects what happens in your life. But consider how the effect of what you say and how you say it varies dramatically depending on your listener. Similarly, you can think of your energy as another "voice" that is constantly influencing the world around you. How your energy speaks to the world directly affects how the world responds to you. "...Everything's gone crazy business-wise here since we got our Wealth Angel. I worked for 14 years promoting our magnetic fuel saving products and in all those years my biggest order was for 120 units... after three days' meetings I landed a trial order for 1000 units! I cannot believe the incredible effect the Wealth Angel has had on everything since it arrived in the office last week! Please send us two more"
A Wealth Angel or Archangel strengthens your "energy voice" in a way that affects how the world responds to you with respect to your wealth. This is a developmental process over time. Just as you need to save up your money, you also need to grow your wealth qi. When this energy is strong enough it produces a return that benefits your wealth in one or more ways. Through sustained use of a Wealth Egg, your wealth qi will steadily increase in different ways according to your personal needs for more wealth – often creating a new relationship between you and your money. So the process of cultivating your wealth qi isn't just about what you gain; it's also about wisely managing what you have and having a stress-free relationship with money rather than it being a cause of trouble and strife. So, as you can see, there's much more to cultivating your wealth qi than just increasing your wealth. There is, after all, not much point in having more money if this just leads to new reasons for being unhappy... a not uncommon experience for many people. A Wealth Egg with a Wealth Angel or Archangel is the most powerful way to directly cultivate your wealth qi in a balanced way. Once your wealth energy becomes strong enough, you will start experiencing the many ways these unique devices can benefit you. 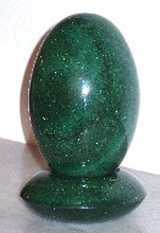 The Energy Egg Transmitter is an Original QiTM program contained in a clear quartz base. 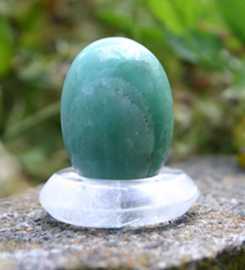 You simply connect the Energy Egg Transmitter to your body’s energy field through the three main qi channels—known in yoga as the ida, pingala and shushumna— that run the length of your body and beyond (instructions included), then stand your Wealth Egg on it. The Energy Egg Transmitter remains permanently connected to your energy field unless it’s re-tuned to someone else, or is physically damaged. This product is so good that it comes with a 12 month money-back guarantee. A Wealth Egg is 100 percent Guaranteed! As for all Energy Eggs and Angels, the Wealth Egg, Wealth Angel and Wealth Archangel – larger, more powerful, Wealth Eggs that develop the wealth qi of everyone in a home or office – include a 12-month 100 percent money-back guarantee so there’s NO RISK for you at all. Apart from the fact that the power of the Wealth Egg is so reliable that we can offer this guarantee, it also gives you enough time to experience the benefits of a Wealth Egg, Angel or Archangel without worrying about whether it will work for you. So get a Wealth Egg – and see for yourself! This amazing new product is the ideal way to increase your wealth and prosperity. We recommend purchasing the Wealth Egg with the Transmitter, because this is the strongest and most convenient option — and the best value! Other Currencies [approx]: GBP£44:45 — Euro €65:00 — AUD$105:00. Your currency will convert automatically from USD on PayPal. A Wealth Angel makes an ideal addition to offices, shops, restaurants, practices or any environment where money is being made. These have the same wealth-enhancing effects on everyone in the space as if they had their own personal Wealth Egg – and more! The Wealth Angel (including base) costs $430:00*. Other Currencies [approx]: GBP£260:00 — Euro €360:00 — AUD$410:00. Your currency will convert automatically from USD on PayPal. The super-heavy-duty Wealth Archangel makes the most potent addition to large offices, shops, restaurants, practices or any environment where money is being made. These have the same wealth-enhancing effects on everyone in the space as if they had their own personal Wealth Egg – and more! The Wealth Archangel (including base) costs $845.00*. Other Currencies [approx]: GBP£499:00 — Euro €570:00 — AUD$790:00. Your currency will convert automatically from USD on PayPal.